I’m ecstatic to announce an all-day Saturday event on February 11, 2017 specifically designed for women in their 20s and 30s who feel called by God to serve this generation through teaching, speaking or writing. The passion to do this event welled up in me continually as I wrote the Bible study on 2nd Timothy called Entrusted. (Released September 1, 2016) The final words of the Apostle Paul, penned to his beloved son in the faith, sketch a relationship on the sacred page of stunning mutual love and support between two generations. Over the course of five weeks, the curriculum holds the spotlight on doctrines imparted and dynamics shared between those two servants of Christ, inviting us to step into the paradigm they represent. If God ordains the order of each generation from the beginning to the end of time, and Scripture says He does, then we can safely assume He also has purpose in the generations He causes to overlap. Each generation – the younger and the older – has the privilege to profoundly impact how the other flourishes. God timed the writing of Entrusted after two decades of publishing experience and three decades in active ministry. The Paul-Timothy paradigm threw open the door of opportunity to share some things I’d learned, often the hard way, in my journey with Jesus. I’ll echo the same disclaimer here: There is so much I don’t know, so much I don’t have, but whatever is mine to give is yours to have if you want it. Because I wrote the study to apply to Jesus followers with any spiritual gift mix, I tried to avoid the trap of overemphasizing the ones most familiar to me. All the gifts are vital and all believers are called. 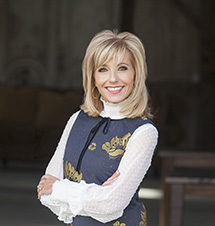 I kept wishing along the way, however, that I had a little extra time with young women who feel led by the Holy Spirit to speak, teach or write simply because those are the areas of my exposure and experience. Making the most of a Saturday – from morning through evening – to pour into women in their 20s and 30s who have completed the 5-week study Entrusted and desire to zero-in specifically on speaking and writing gifts. I’m going to have to ask you to trust my motive here. I’m not trying to sell you a Bible study. I have a couple of different reasons for making it a requirement. First, space is limited and I want to insure that those who come are serious about the Scriptures and convinced they want to press on and pay the price of self-discipline to grow into their callings. I’d rather have 100 with fire in their bones than 500 who are mostly just curious. Nothing is wrong with curiosity. It’s just not what this day is set aside to satisfy. Secondly and most importantly, making Entrusted a prerequisite means that we come together on the same page. We can hit the ground running on that Saturday morning and make the most use of our time. Entrusted involves the fundamentals of becoming a mighty servant of God, of grasping the gospel message and using our diverse gifts to share it. If we all come together with those basics already in our arsenal, we can launch straight to the next level. And we’re going to have a blast. I’ve asked my friend, Christy Nockels, to lead worship and invited a cross-section of my speaking/teaching/writing friends and colleagues to join Christy and me that evening for a panel and Q&A. I love and respect so many female teachers and authors serving our generation and wish we had a week to expose you to all of them. The ones who will serve on our panel that night were sought out because each brings something different to the mix. Christy will lead us in worship in each session then I’ll teach and speak on subject matter most pertinent to communicators. Our very special guests joining me that evening for the panel are Jennie Allen, Christine Caine, Melissa Moore, Christy Nockels, Priscilla Shirer and host Amanda Jones. REGISTRATION OPENS Friday, Nov 25th at 9 a.m. Cost $25.00 (to help cover expenses). Space is limited and our aim will be to fill the room evenly with young women in their 20s and in their 30s. But please don’t delay, if either decade does not fill up by December 1st, registration will open up the remaining space. The registration page will include hotel information, along with a full FAQ section to help with any questions you might have. I can already tell you this will be one of the most fun gatherings I get to be part of all year. I cannot WAIT. I believe strongly in what God wants to do with you young women. So much love to all of you. I’m honored to be your big sister and servant. This entry was posted on Friday, November 11th, 2016 at 2:50 pm	and is filed under Beth. You can follow any responses to this entry through the RSS 2.0 feed. You can skip to the end and leave a response. Pinging is currently not allowed. I’m so excited about this event!! I received a confirmation email of my booking on 12/20 but just today got another email letting me know that a spot has opened up and with a link to register. Is there any way I can double heck that I am actually registered? If there is anyone who has a ticket and is unable to attend, please let me know. Tickets are transferrable (per the Lifeway policy). You can reach me at katm02 @ yahoo DOT com. Do any of you want to connect together and talk about Entrusted as we prepare for the Lit event? I started a Facebook group (unofficial) for anyone interested! 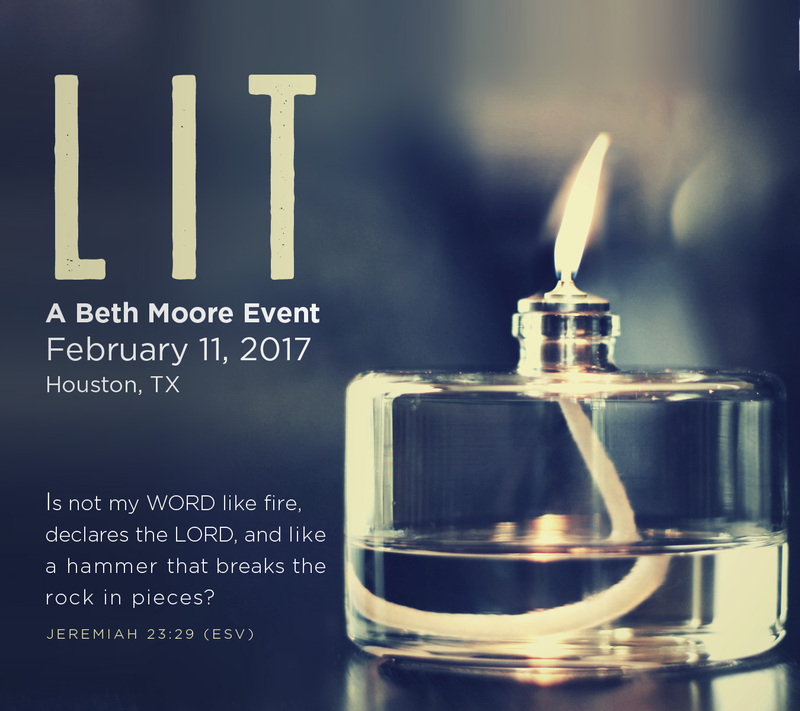 The group is called Lit: A Living Proof Ministries Event. I hope you come join us! Hi! Will anyone else be traveling from out of town? I’m hoping to find some ladies to ride back to the airport with on Sunday. Thank you! Hi! I was 799th on the waiting list:):) Any chance it will be recorded? I would love to listen in, and it looks like many other women would love to take part too. Thanks! Hi Heather! We taped the event in hopes of making it available for those who were unable to attend. We will be sure to share if it becomes available. Thank you! Hi there, was wondering if there was any follow up about videos from this event? Just heard about it on Christy Nockels podcast and I am DYING to watch the event! Thank so much! Hi Lauren! We did tape the event in hopes of turning it into a product for those who couldn’t attend. When it becomes available, we will be sure to share. Blessings to you! Where will the event video be shared when it is completed? Thanks so much! Hi Bree! This has yet to be determined, but we will be sure to update the blog and Facebook with this information when it is available. Thank you! Someone please check the living proof website correspondence section for an emailike I sent regarding a gal who was supposedoing of be there tonight from PA but isnt…please. thanks. Hi Ashlee! We only advertised LIT through the blog and our Facebook page. We filmed the event and are hoping to turn it into a product for all those who were unable to come. We will be sure to share if it becomes available. Blessings to you! When is the next one?! Any idea if this is something that might happen again in the future? Would love to know if another is in the works! Thanks! Late to the party but just heard from someone who attended and she was so greatly encouraged. I look forward to the taping when/if it’s available. I too am a 50 something. And I have no doubt the Lord led you to minister to 20s and 30s…beautiful. And yes, I’d LOVE to attend something for 40s up. As the Lord leads!! Blessings!! Will there be another event such as this scheduled in the future??? Hi Barbie! There are currently no plans for a future event. However, we did film the event in hopes of turning it into a product! If it becomes available, we will be sure to share. Blessings! I am so sad that I didn’t hear about this until after it was over. I would have LOVED to sit under Mrs. Beth and learn from her . I have heard amazing things about all the things learned at LIT.Please please let me know if their is any way to purchase the videos when they become available! Hi Kasey! We did record LIT in hopes of making it into a product. If it does become available, we will be sure to share! HI! Would you please let us know if you will make a video/DVD available for the past LIT event where we can view the content and learn and grow? thank you so much! We surely will! No plans yet to share. Were you able to be with us at LIT, Liji? I would LOVE to see this but feel lost out here in, always forgotten Michigan. Will there be another? Can it be recorded and viewed online? PLEASE?! Hi Kristy, thank you for your interest in LIT! Currently, there are no plans for another, however, we did record it and are working on turning it into a product so that those who were unable to attend can watch. We will be sure to announce when it becomes available. Blessings to you! I read through comments from 2017 to see if you guys had released the videos from this LIT conference. Did that ever happen??? I am desperate to learn more about this! Yes! We developed Lit into a resource through our online store. You can view it here: https://store.lproof.org/lit.html The videos come with a listening guide with content from the event.